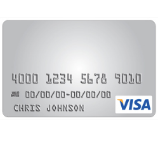 If you currently bank with the Bank of Edwardsville and are in the market for a new credit card, you may be interested in applying for the Bank of Edwardsville Visa Platinum Card. The interest rate for this card is assigned based on your creditworthiness and ranges from 10.49% to 21.49%, making this a better choice for applicants who already have an excellent credit score (APR is subject to change). As a great incentive to apply for this card, the card-issuer (Elan Financial Services) has supplied new cardholders with 0% APR on purchases and balance transfers for the first 12 billing cycles of their account being opened. So, if you already have an existing credit card balance, you can transfer your balance to this card and avoid paying any interest for a year. Compared with all of the other credit cards offered by the Bank of Edwardsville, this option has the lowest possible assigned APR, a longer introductory APR, and no annual fee, making it a sensible and straightforward option. If you feel that this is the right credit option for you, scroll down and follow the steps of our application guide below. 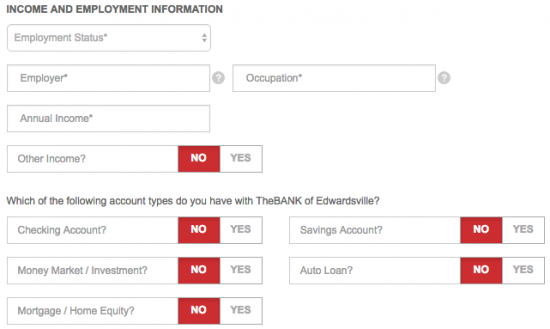 Step 1 – To get started, you will need to navigate to the Edwardsville Bank credit card page. Once you’re there, scroll down until you find the Visa Platinum Card option and click the Apply Now link to continue. Step 3 – Next, enter the below information into the indicated fields of the Housing Information section. Below that, if you are already a Edwardsville Bank customer, indicate the accounts that you have with them by selecting Yes next to each option that applies. 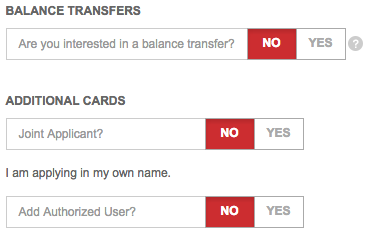 Step 5 – At this juncture, you have the options to make a balance transfer and/or add additional cardholders to this account. Select Yes next to each option that you wish to utilize and provide the required information before proceeding to the last step of the application process. 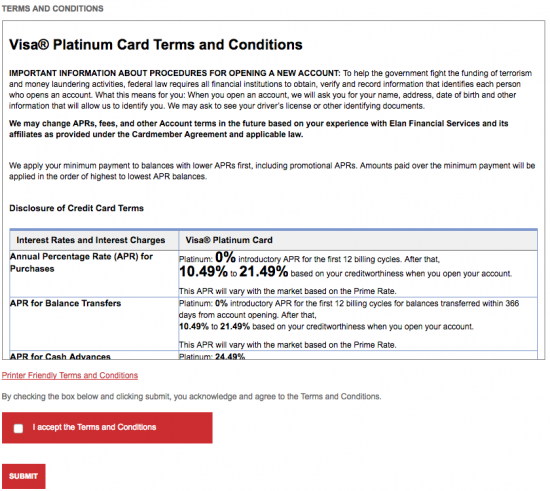 Step 6 – Last but not least, read through the terms and conditions for the Bank of Edwardsville Visa Platinum Card in order to fully understand the agreement that you will be making before you submit your application. When you are ready, tick the check box that indicates your consent and click Submit to submit your application. Your application is now submitted for review! We hope that you have found our guide to be helpful and wish you the best of luck with the result of your application. Thank you for visiting Card Reviews.